Firstly, CloudAccess.net is a niche platform as a service (PaaS) hosting provider that caters their services to Joomla's and recently Wordpress's content management system (CMS). While they do offer other hosting services, these two CMS's are their primary focus. Each instance of a CMS on their server is cloud-hosted and optimized to specifically enhance the performance of either platform. So if your website uses either one, you're in luck! Furthermore, CloudAccess.net's hosting plans offer support and extend beyond the core features of each CMS depending on your subscription of choice, which is explained in their support service level agreement (SLA). Secondly, as opposed to using cPanel, they have their own proprietary Cloud Control Panel (CCP) with an integrated application programming interface (API) that manages all of your hosting needs. Like anything new, it does take some time to get used to but the overall user experience and interface design flows naturally. Learn more about the CCP below. CloudAccess.net clarified recent changes with their SLA to offer more coverage and extended support. Read more about those changes below. Just as there are features that I love about CloudAccess.net's CCP, there are some aspects yet to be desired that I wish were included as baselines from cPanel. For instance, rather than implement cPanel's ability to create separate FTP accounts that have access to a defined scope of a particular directory, you only have one FTP account. In short, there are no access control options or limitations for the creation of additional FTP accounts. Therefore, if you needed to provide access to another developer via FTP, you would have to share your FTP password and give them access to your entire directory. Then you would have to change it afterwards for security purposes, which can most certainly get annoying after a while. I can barely remember the passwords for my bank accounts. Sidebar: If you are saving your passwords in notepad or excel spreadsheet, let me provide a more secure alternative. Check out Passpack. They're awesome! Another caveat with CloudAccess.net is not having a 24/7 support line to call in the event your site runs into any issues. While their hours of operation for telephone support are between 9 a.m. to 6 p.m. Eastern Standard Time (EST) 7 days a week, they do offer a 24/7 ticket system in which they will respond between 8 to 24 hours depending on your service level agreement. And honestly, any time that I have ever needed to submit a support ticket, they haven't taken any longer than 2 hours to respond to issues covered outside of their SLA. Now, let's get into why they are the best damn host for Joomla sites on the planet. CloudAccess.net offers an indefinitely free 30-day trial of Joomla hosted on their platform so you can try out their services before opening your wallet. When you decide to start your trial, they will install your Joomla instance for you so there's no need to worry about creating a separate database and linking it to your site. If you are new to Joomla or are considering your site to be developed on the Joomla platform, there's absolutely no better hosting company. 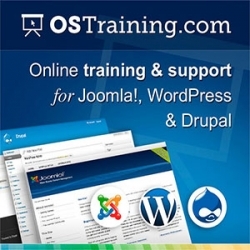 If you have never designed or developed a website or used a content management system before, learning Joomla may be somewhat difficult initially. But this is where CloudAccess.net's support for Joomla, amazing customer service, great company culture, and dedication to providing informative tutorials and training outshines any other hosting provider by far, which is why I love them! When I say CloudAccess.net's support for the Joomla platform is absolutely amazing, it's freaking amazing! They offer a multitude of training material catered to users of all experience levels and are always coming out with new content. They even provide live webinars to learn more about Joomla and in-depth reviews with developers of popular 3rd party extensions (which is supported in their Business Hosting plan) and if you can't attend one, you can always view it later on their YouTube channel. I don't know about you but sometimes watching a video from subject matter experts is much easier than sifting through the minutia of documentation. This benefit alone played such a pivotal role in choosing them as a hosting provider for our clients because certain topics are just not covered very well in the Joomla Docs community as yet. Not to mention, many developers of popular extensions don't even have video tutorials and if they do have any, there is no audio most of the time. There's something a little weird about watching someone click around on their screen with no audio if you ask me. Additionally, you can always check out their training tutorials page for specific topics. And do you know what is the best part about all this? They offer it all for free without any hassles or landing pages to capture your information. Another benefit of their service is their site replication feature. Once your site is public, it's never a good idea to make updates to any applications (components, plugins, etc...) on a live site without initial testing. CloudAccess.net's CCP makes creating a copy of your Joomla instance so easy even a caveman can do it. And to make matters easier, if everything tests out well with updating your site's copy, you can overwrite your live site with your copy in one click. Gary Brooks, CEO and founder of CloudAccess.net, certainly did not become the owner of the best damn hosting company for Joomla websites overnight nor did he grow up with a silver spoon in his mouth. In an interview with Andrew Warner of mixergy.com in 2012, Gary discusses his personal story of being an adopted child to starting his own business, constantly overcoming adversity, and getting involved with the Joomla community. Check out the video below if you're interested in learning more. It is a bit lengthy, however I enjoyed it. If you can overlook the lack of standard FTP features with cPanel, 24/7 phone support, and would like to try out Joomla on your next project, consider CloudAccess.net as your hosting provider.